Afterschool program leaders and youth workers do a good job of speaking on behalf of the youth they serve. However, we also think it is important to hear directly from youth. Thus, we will endeavor to dedicate a portion of this blog space to hearing directly from youth. 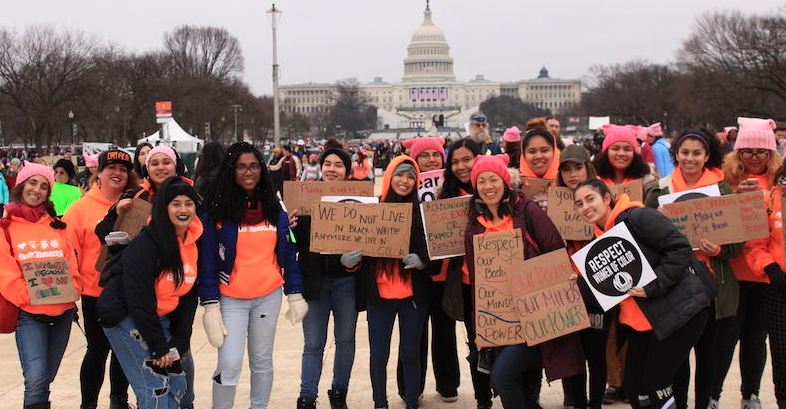 Sixteen students from the San Francisco Unified School District were given the opportunity to participate in the Women’s March in Washington, DC the day after President Trump’s inauguration.